Google's Project Ara plan to let you create the ultimate smartphone has been boosted by news that a brand new online store for owners is incoming. 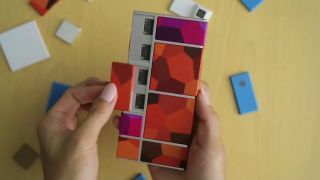 As the launch of Project Ara, Google's modular smartphone that lets you add components yourself to completely customise the smartphone, approaches more details about how the unique mobile platform will work are emerging. We're expecting to see the first version of Project Ara early next year, and hopefully the base product won't cost too much either.